High-end, ultra-crafty sips are sure to please at Fern Barn in Sebastopol. 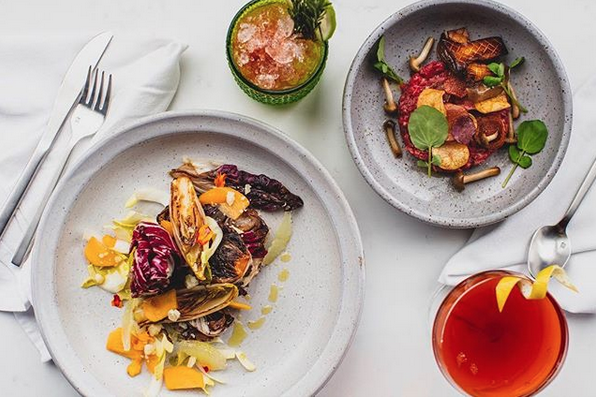 We enjoy plenty of top chefs and remarkable restaurants in Sonoma County, but at the new Fern Bar in Sebastopol, it’s truly a dream team. 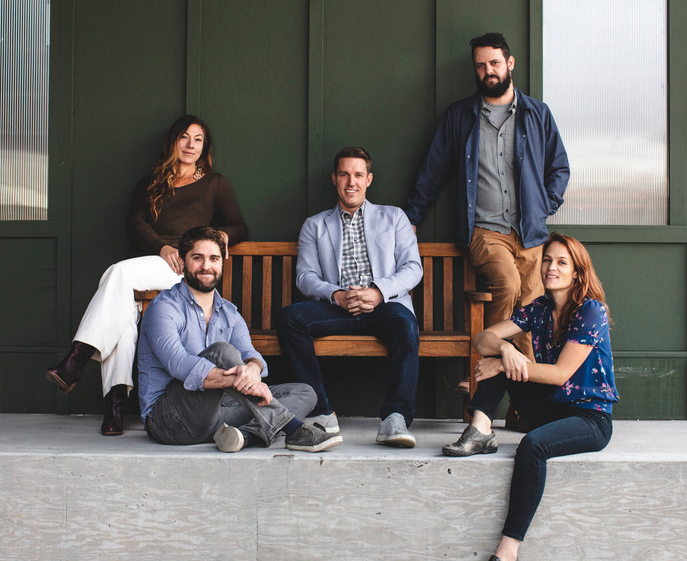 Look at this line-up: Lowell Sheldon and Natalie Goble (the duo behind Sebastopol’s two popular restaurants Lowell’s and Handline), Sam Levy (former Bar Director of the three Michelin Star Restaurant at Meadowood), Joe Zobel (former Lowell’s chef), Gia Baiocchi (owner of The Barlow’s Nectary), and Alec Vlasnik (formerly Perch & Plow and Spoonbar mixologist). Set in The Barlow, Fern Bar melds modern and retro, serving dinner Thursday through Monday including an aperitif hour from 4 to 5 p.m., plus a late-night menu from 10 p.m. until closing. Start with innovative bites like a sopaipilla stuffed with rabbit, chile crisp, cotija, and Mexican herbs, plus Winter in Sonoma, a platter of seasonal vegetables with schmaltz, apple preserves, and rice crackers. When the chef promises produce is local, it’s really local - Much of it comes from Goble and Sheldon’s Two Belly Acre farm only a few miles from the restaurant. Cute retro salutes include pickled quail eggs, or chicken liver mousse with winter squash, apple cider and pistachios. On the modern side, you can dig into rockfish scallop with oxtail bordelaise, celery root and abalone mushrooms, or an ancient grains celebration of farro, purple barley, quinoa, lentils, Mandarin orange, trumpet mushrooms and radicchio in nigella (black seed) vinaigrette. For sips, think high-end, ultra-crafty garden-to-glass quaffs such as the Guera with blanco tequila, Aperol, St. Germain, Thai pepper shrub, grapefruit, lime, and bitter lemon tonic; or the Naughty Toddy with kurobuta squash, Griffo Stout Barrel Bourbon, mulled apple cider reduction, orange, lemon hot water, and honey. You can also explore house-made beer, and locally-sourced, small production wines. And this is really clever: “free-spirited” drinks mean non-alcoholic cocktails, like the delicious Blue Dream of coconut, kava root, blue spirulina, and Seedlip (a non-alcoholic distilled spirit in flavors like spiced citrus, herb, or allspice-cardamom-citrus). Because the team is comprised of hip kids, we’re treated to extra-special music, too. Sheldon curates a weekly rotating schedule of live music on the stage in the dining room, ranging from Americana to Jazz to retro records. Cool, baby. Naturally, the Fern Bar boasts plants in its airy, vintage-inspired space, hung, no less, in macramé holders. Details: 6780 Depot Street, Suite 120 (The Barlow), Sebastopol, 707-861-9603.